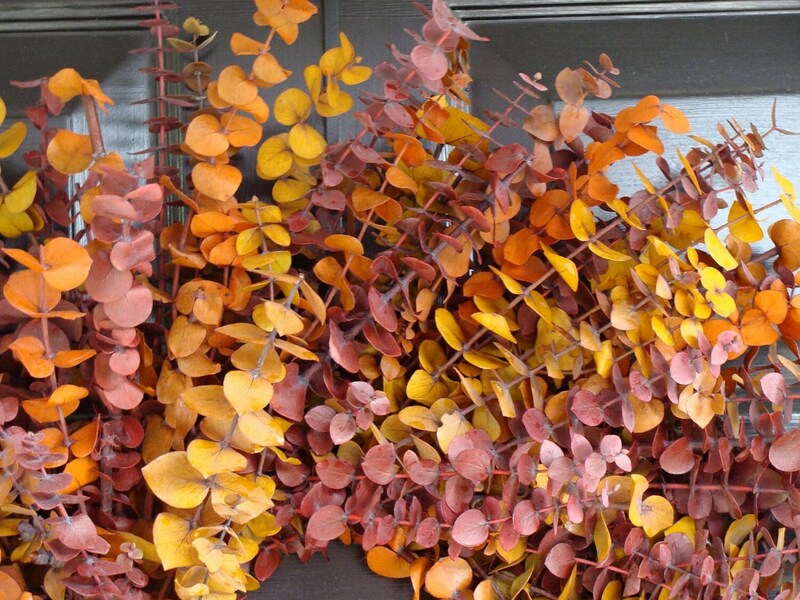 Orange, red, and amber preserved eucalyptus are elegantly alternated to create an XL fall wreath. 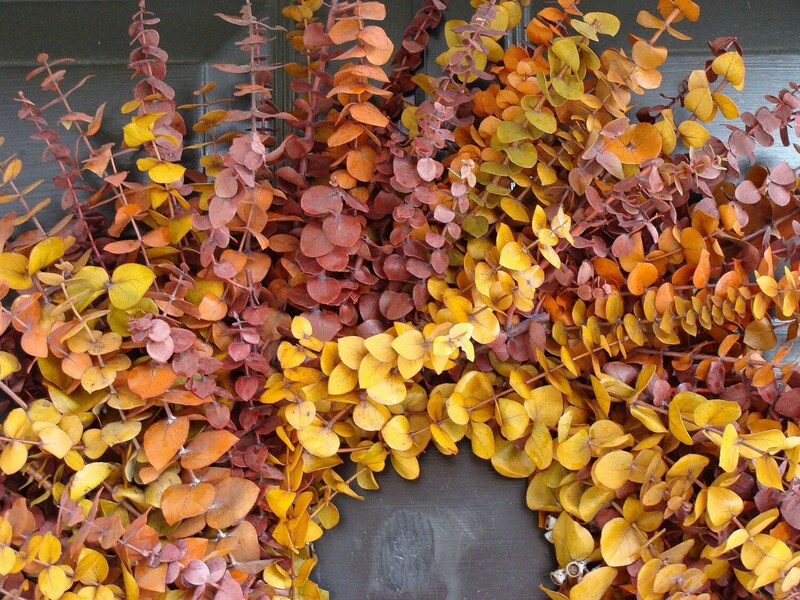 Measures 24 inches in diameter and 4-5 inches thick, incorporating three full pounds of fragrant eucalyptus. Really wonderful item - vibrant colors, terrific smell, and fast & secure shipping. 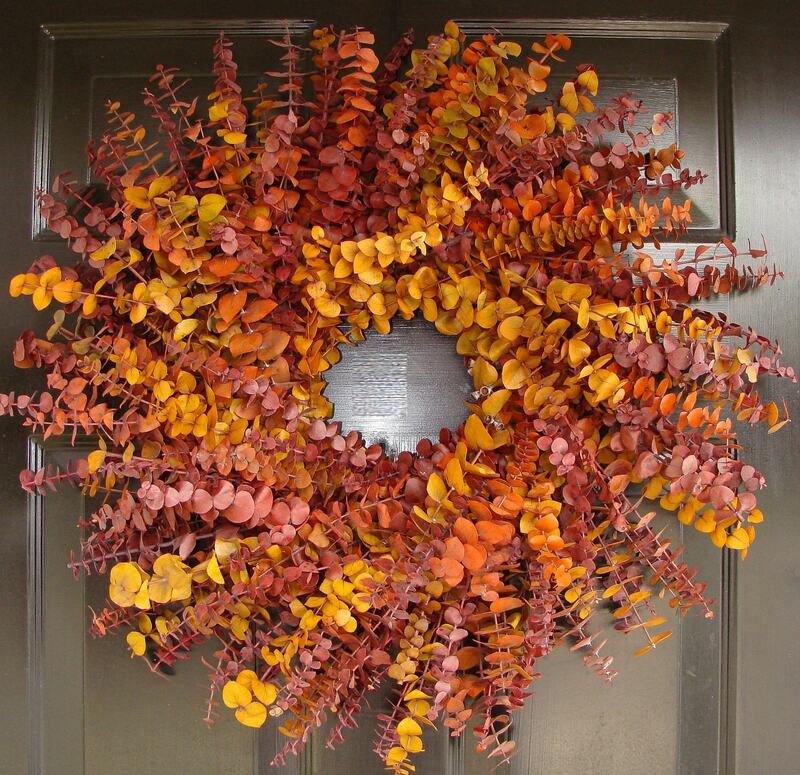 This, plus the 20" one I ordered for my front door, make a beautiful fall/Thanksgiving decoration. Thank you! Really wonderful item - vibrant colors, terrific smell, and fast & secure shipping. 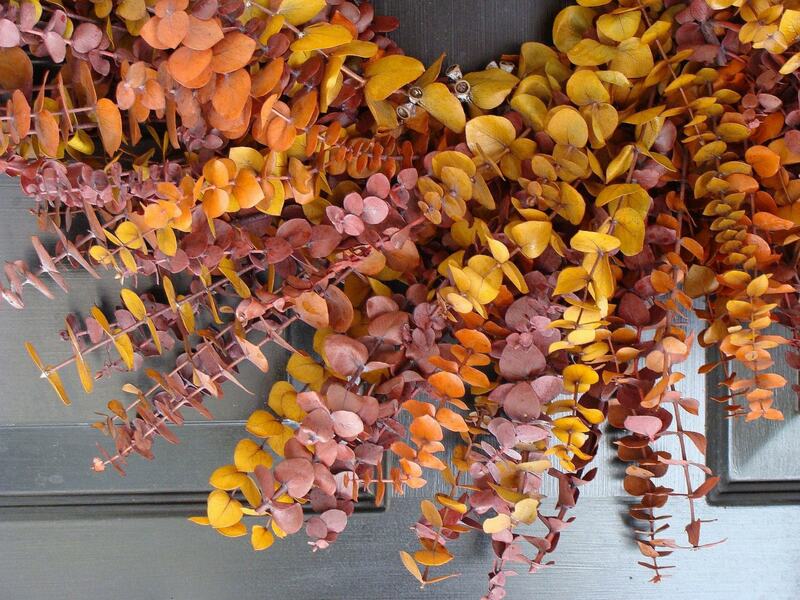 This, plus the 16" size I ordered for my kitchen, make a beautiful fall/Thanksgiving decoration. Thank you! Thanks so much! 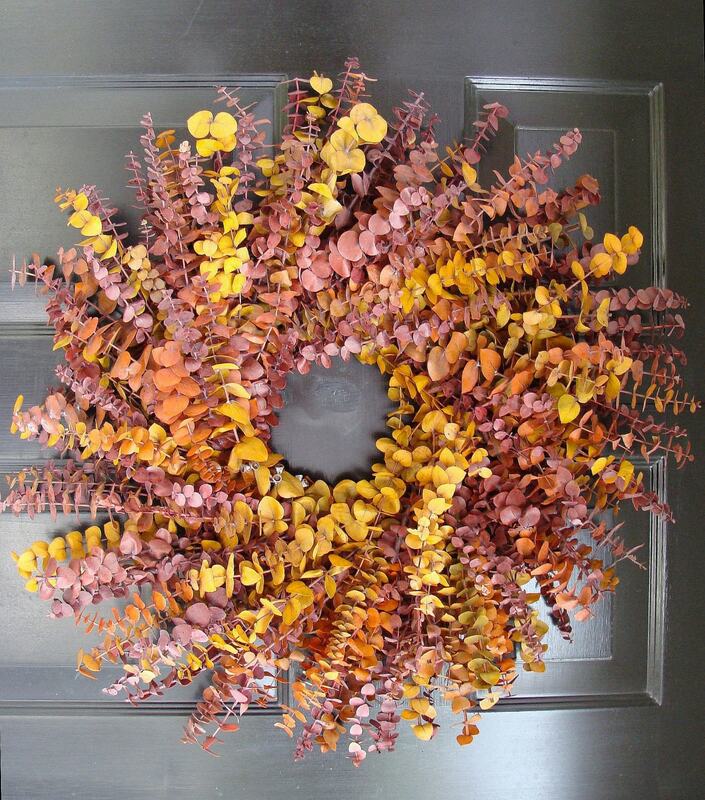 The wreath's fragrance brings back so many wonderful childhood memories and it will be a beautiful addition to my fall decor. Love it - shipped with care and absolutely perfect - Thank you!